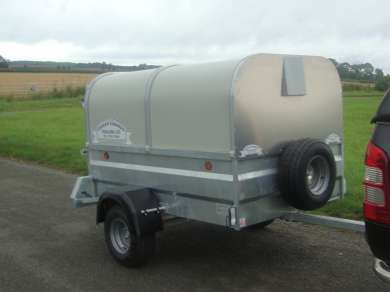 NEW GRAHAM EDWARDS 6FT X 4FT LIVESTOCK TRAILER Suitable for Sheep, Pigs, Calves and other small animals. 750kg with 20.5 x 10 Tyres. Standard Features include; Single Axle, Alloy Floor, Loading Gates, Ramp Tailgate. Extras available are Spare Wheel & lift off canopy.